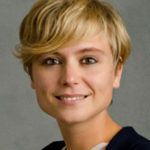 Erika Deserranno is Assistant Professor of Managerial Economics & Decision Sciences at Kellogg School of Management at Northwestern University. She joined the Kellogg faculty in 2015 after receiving her PhD in Economics from the London School of Economics. Her research interests lie at the intersection between development and personnel economics. She is currently working on issues related to the selection, recruitment and motivation of workers both in private and public organisations.